← Sabores Cafe – Great Party! 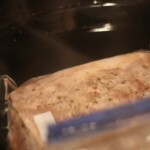 I did it; I was able to do Sous Vide CHEAP! How do you ask? 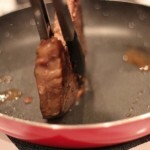 I had heard about sous vide cooking and it was in interesting concept. But to purchase one of those machines was really out of the question, a question of priorities, how much sous vide was I going to do? Scott Heimendinger at Seattle Food Geek talk about this subject and how he created his own sous vide cooker. Although I knew my husband could make one for me, I have no room to store anything else in my house. I also preferred to spend my money on something else, like a piece of jewelry or a new computer tablet. 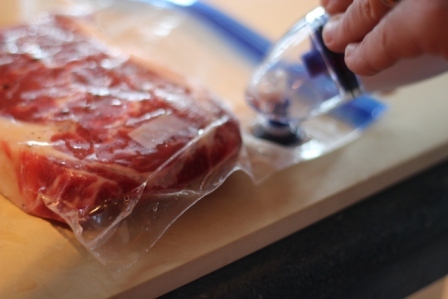 The whole concept of sous vide cooking is to cook slowly at constant temperature without having to monitor the food. Sound familiar? 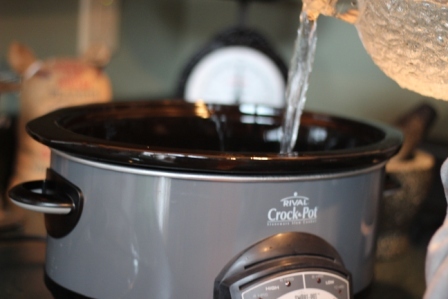 Sounded like a crock pot to me! I already had one in the cabin in NC, and my sister had one too and luckily she lives right next door. Fate also had a hand in this. 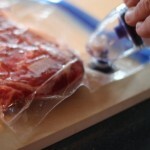 I happened to run across a manual Ziploc vacuum food saver for ½ price, this was a no brainer – I got one. Then I saw a Handi-Vac with 3 bags included for $3.00, also a no brainer, got one of those too. And thirdly, I won an electric one at work at the Chinese Gift Exchange. Nobody could understand why I would want to keep the “white elephant” gift. I did some research and designed an experiment. 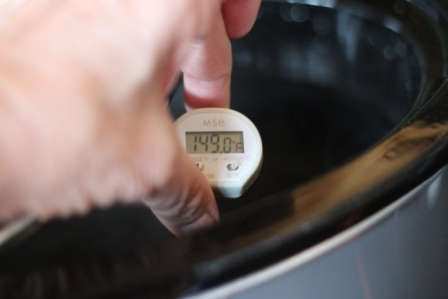 I needed to confirm the temperature that my crock pot maintained. 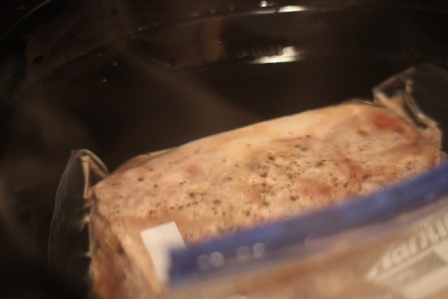 If you are willing to try cheap sous vide at home, I would recommend you do this same experiment. 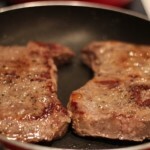 I did not want to try this the first time with chicken, so I decided to cook a steak. 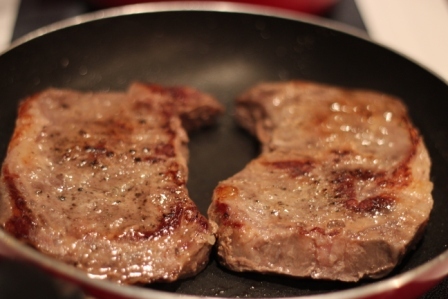 The research indicated that medium well steak needed to be cooked at around 135- 145 o F a little more or less cooked did not make a difference to me. 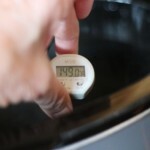 In addition, the research indicated you do not have to defrost the meat just cook it an extra 20 minutes. 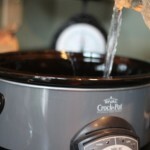 So I seasoned the frozen steak with a little salt and pepper, put one frozen steak in each of the bags, sucked the air out with my Handi-Vac, and dropped them in the crock pot using the warm setting which was 145 degrees. 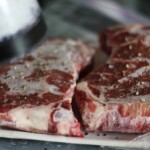 The steaks cooked for 3 hours. 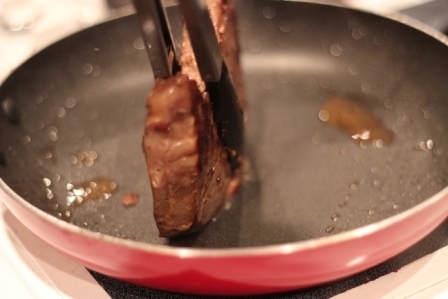 I took them out of the bag and seared the steaks in a hot pan to caramelize and give the steaks a little color. 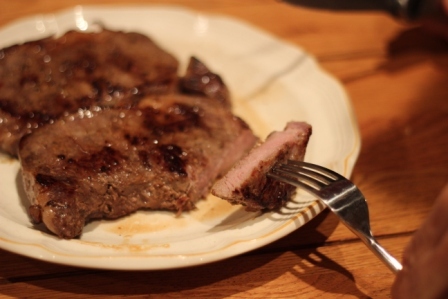 The steaks were not bad, not bad at all! 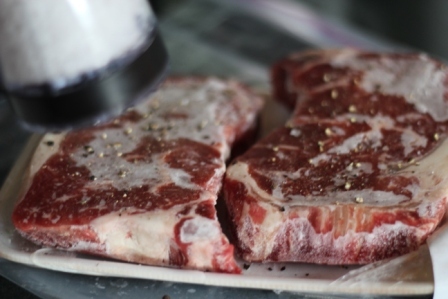 I would do it again if I were going to go skiing and was going to be gone all day, or I hosting a large party and everyone wanted the steaks medium well. Buying the right equipment would make it much more versatile, but the basic issue remains, where does one store a fish tank? 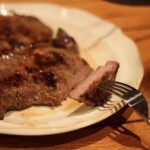 This entry was posted in Main Course, Misc, Uncategorized. Bookmark the permalink.